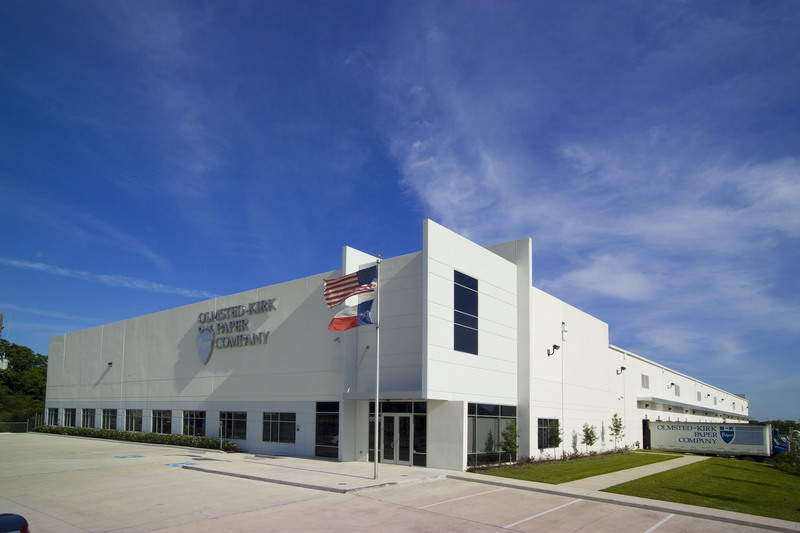 Olmsted-Kirk Paper Company’s 67,721 square foot single tenant, state-of-the art distribution center features dock high, tilt wall construction, and is centrally located near northwest Houston for efficient city-wide product delivery. Olmsted-Kirk Paper Company has been distributing fine paper products from his Houston distribution center at 3840 12th Street for over 40 years. The new center was completed in 2007 to fulfill the growing storage and distribution demands of the company. PinPoint Commercial was able to coordinate the site acquisition for the construction of the new distribution center, building design team, and construction process.